moje dziecko będzie takie miało ! I favorited a YouTube video: Thousands of BMW M fans worldwide have been waiting for the BMW M3 GTS. It's a pure high performance car. Optimized for race tracks, but street-legal. See all the new details at http://www.m-power.com and watch out for the next BMW M3 GTS clip coming up on sunday at BMW.TV. About a week ago, a woman tried to park her BMW X5 in a gym parking lot in Thornhill, Ontario. For some mysterious reason, she instead drove over two other cars and sat on top of them for a few seconds. Then she drove off. 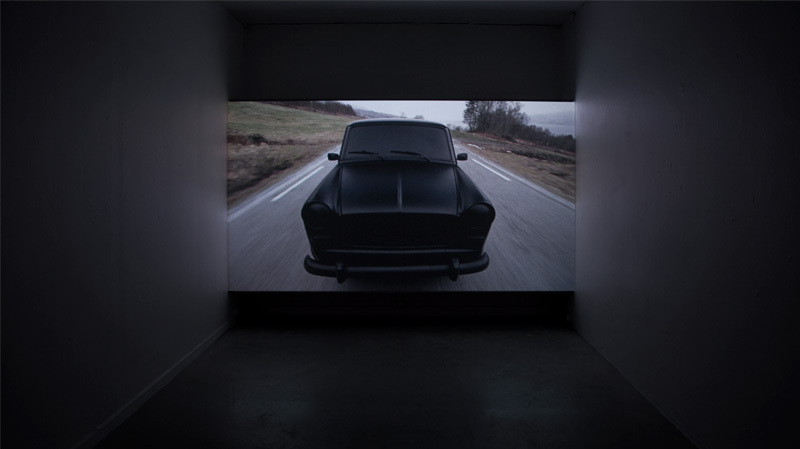 »Black Car«, 2009 by Øyvind Aspen. I favorited a YouTube video: Looking at a BMW, your heart starts jumping for Joy. But sometimes it's not just the heart. Watch some amazing ways to take a seat in a BMW, but don't try this at home. MINI Test Drive JCW Cabrio Rallye Monte Carlo. Rauno Altonen and Paddy Hopkirk are paying a visit to the twisting streets of Monte Carlo, where they celebrated their greatest victories at the Rallye Monte Carlo in 1963/64. Different to the Sixties this time the duo drives a brand new MINI John Cooper Works Cabrio. The car and the tricky corners bring back lots of memories, go-kart feeling and driving excitement. You can see the rallye legends driving through Monte Carlo passing famous places such as Col de Braus, Col de Torini. Artist William MacKinnon has created a captivating body of work which communicates his experiences of the driving and the land. The Germans can get into these piques of competitive frenzy when it comes to cars. A while back, it was who could make big, fast luxury sedans best, and now it seems to be building green super cars is all the rage. Chalk it up to “anything you can do, I can do better” or maybe this really is an example of how competition is a good thing. Audi’s R8 is a spectacular car, whether it is motivated by a V8, V10 or the stunning e-Tron. It turns out that BMW does not want to let things go unanswered, and has been working on a replacement for its well-remembered M1 supercar of the 1980s. But word has it that the new “M1″ will be green. When BMW rolled out its dramatic Vision Efficientdynamics Concept at this year’s Frankfurt show, they were proclaiming that parts of it would end up on the street and sooner than we would expect. A lot of auto-journos scoffed at the idea, focusing more on the Vision Efficientdynamics Concept looks, but it turns out that bits and pieces of the drivetrain will make it into the long rumored M1. The original BMW M1 was the company’s only foray into mid-engined supercar territory. Designed by Italian master designer Giorgetto Giugiaro and powered by a straight 6 worked over by the Bavarian’s M Division motorsports group, the M1 was not a car to be trifled with. And so, it seems, the same can be said for the rumored M1 for the new century. The rumors first surface in England that the new M1 would be green and crib green bits & pieces from the show car. AutoBlogGreen went so far as to say the “new green M1 will be ready for sale in 2012 … with a price well north of $100,000.” And now Edmunds is saying it’s really real. The new M1 will indeed feature components straight out of the concept car, such as the mid-engine 1.5-liter three-cylinder turbodiesel even though the new M1 will be a 2+2 and it will also be a plug-in hybrid. One thing that won’t please fans of BMW is that the hybrid M1 will be a little slower than the electric Mercedes SLS (another direct Teutonic rival). 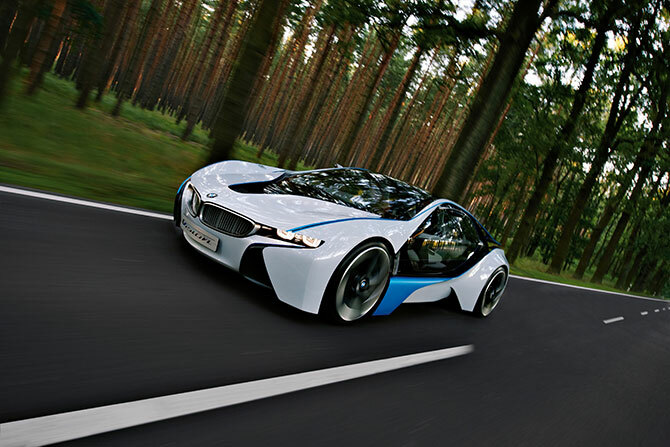 BMW says the M1 will motivate from 0 - 60 in 4.8 seconds and have an electronically limited top speed of 155 mph.